Our New SCHOOL! That's what is New!! who would not be excited by the idea of working with us? of course not many! working with us will enable you to change children's lives positively and forever,it will enable you to learn and develop both personally and professionally. follow these links and learn more about who we want to hire in the next few days! it might be you and we will be very honored to welcoming and working with you. A week with visitors means a week with blessings. 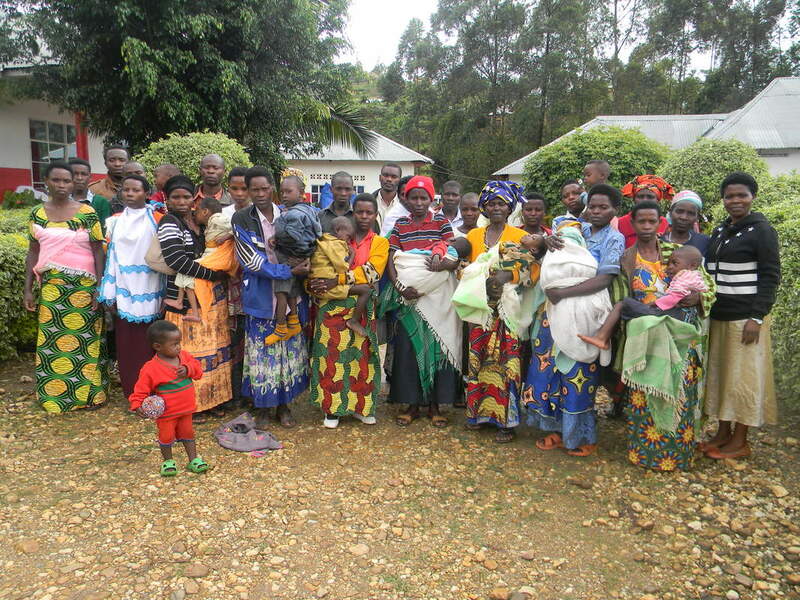 as we say in kinyarwanda "ABASHYITSI NI UMUGISHA" WHICH MEANS IN ENGLISH "VISITORS ARE A BLESSING". 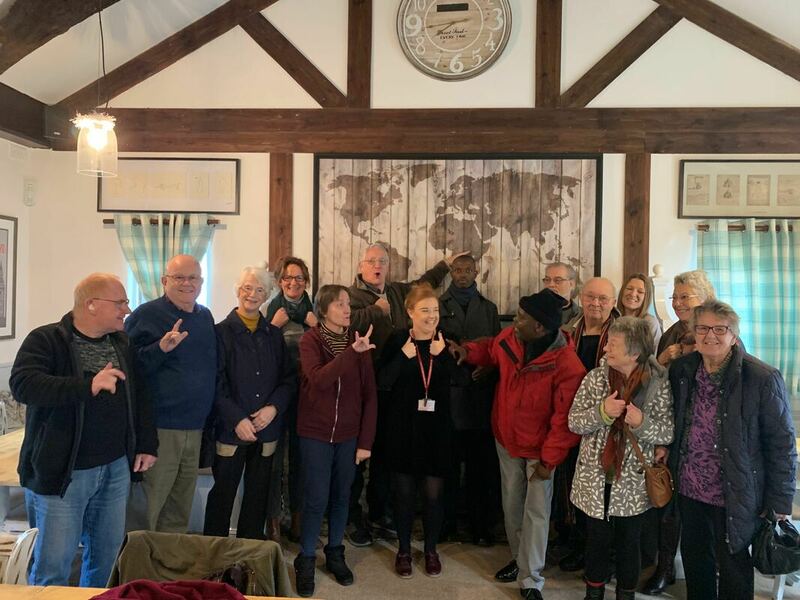 A Choir from a local ADEPR church visited us last Thursday. On Thursday last week a delegation from a Local ADEPR church paid a visit to our new school. 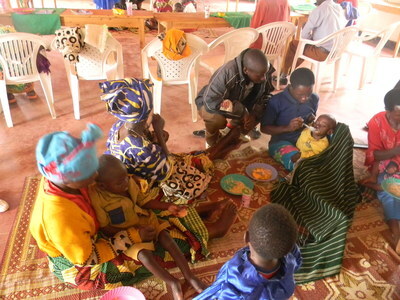 they wanted to get to know more about us,our activities, and more importantly to meet the children. so that they could hand out some gifts to them, and socialize with them. this delegation was made of Priests from the church, and a Choir. 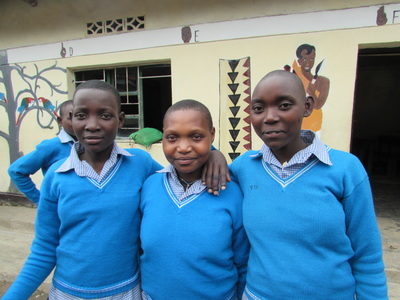 they had a tour of the school, and a presentation session of who we are and what we do. afterwards we discussed about a possibility of partnering with the church mainly through Compassion International a charity that works with children through ADEPR in Rwanda. among the gifts that they brought for the children were Food, Hygienic materials,(Toilet papers,), and learning materials(Books,pens,...). it is very encouraging that now the local people have started to understand the importance of our presence and the work that we are doing with the children. 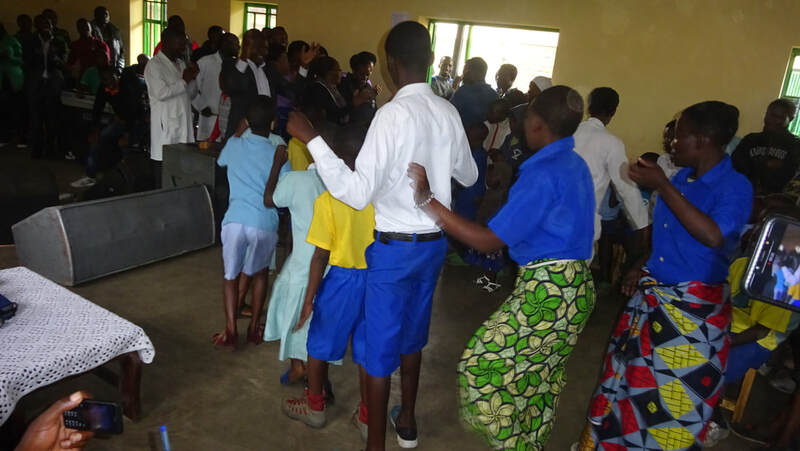 The visit ended with a sermon and an entertainment session with the choir singing for the children. THANK YOU VERY MUCH ADEPR JENDA. Food was among the gifts too!!! The children enjoyed the visit very much!! We appreciate the kindness of all the men and women from ADEPR JENDA who invested their love,time and money,to put a smile on the faces of our children and to support EmCD. We Thank you very much. The building started in early 2018 and we hoped that it would be finished by the summer, But of course, it wasn,t! 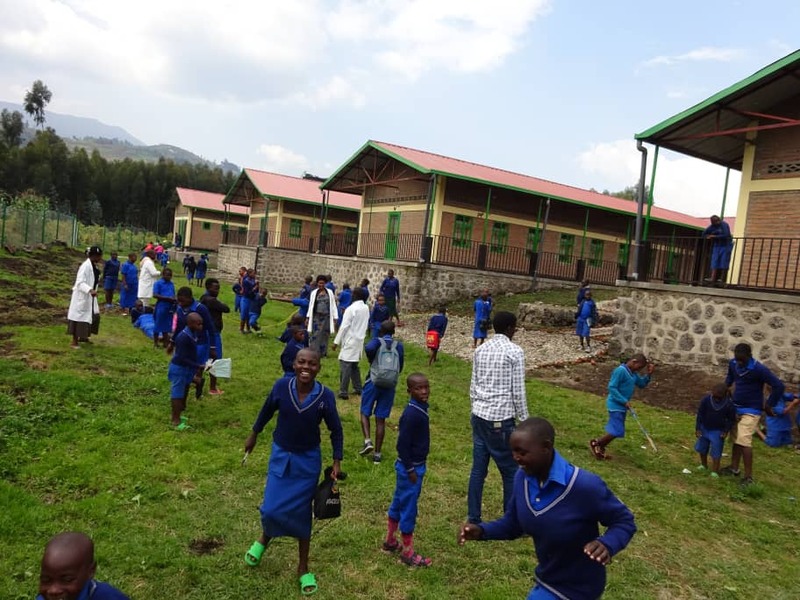 But in January 2019, our children and staff were able to start their new academic year in the new buildings. I am called Madelene . I am now in Primary five. I am very happy to come from my holidays and start the year at new buildings of my school. Our school is very nice. Our dormitory is very good with enough light. We no longer line up for only one toilet; here at the new school there are enough. Our dining hall is well cemented; no holes. I love this school; it is totally different from that one where we were last year. Clean, bright, and room to play! My name is Innocent. I am the parent of a deaf child. I don’t know how I can express my happiness to see this shining school for our Deaf children. First of all I thank people who gave their money to build this school. Our children’s lives will be much better to be in school like this. 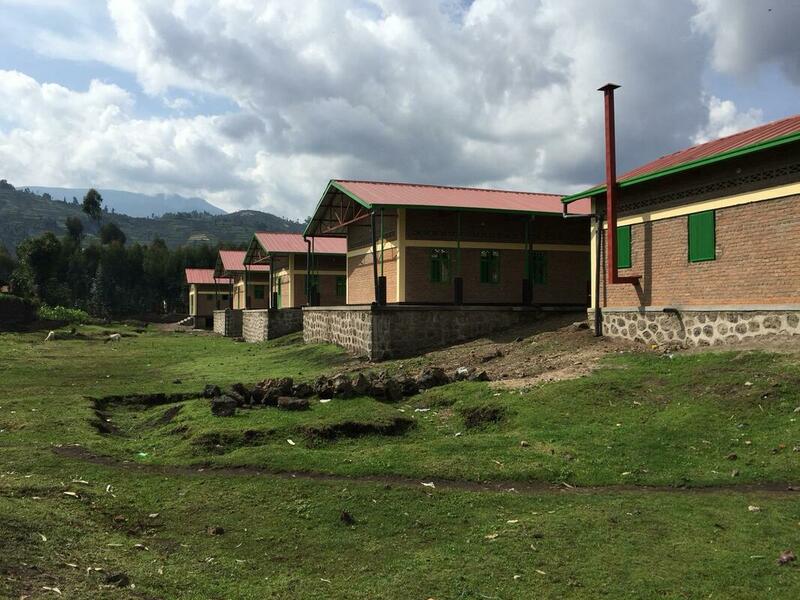 The classrooms, dining hall, dormitories, every room looks so beautiful! We feel much safer now our children are in such a wonderful school. 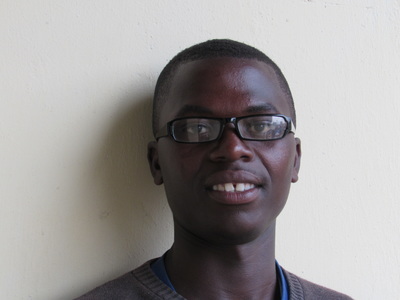 ​I am Gilbert, Sign Language Interpreter in mainstream. It is surprise to me to be at a very nice school like this one. It was like dream to me; I did not think we could have such good school. Both of us teachers and Children are very comfortable here. Our Deaf learners are not suffering from lack of water. The school has now more than one tap. The school has enough compounds where children will play from. The new girls dormitory before the beds were put in. Look how bright it is! 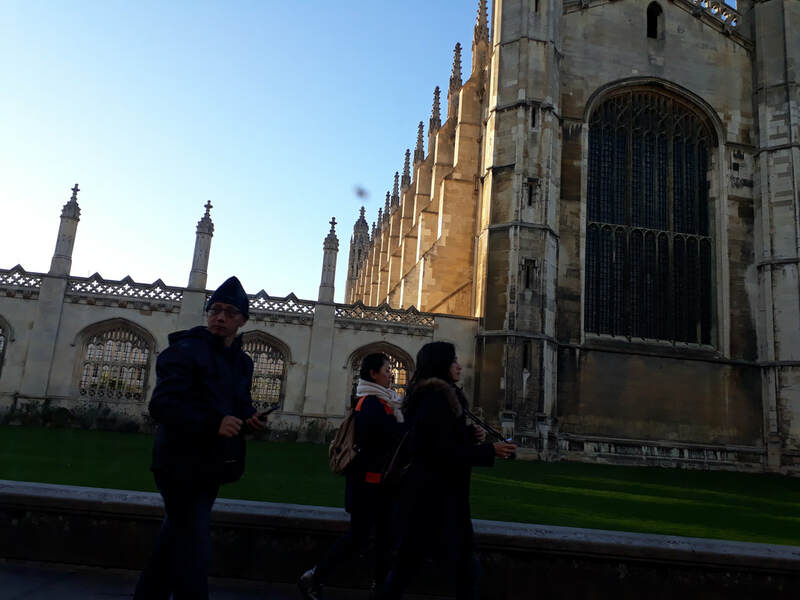 Two of our teaching staff recently had the opportunity to visit England for a three week study trip. 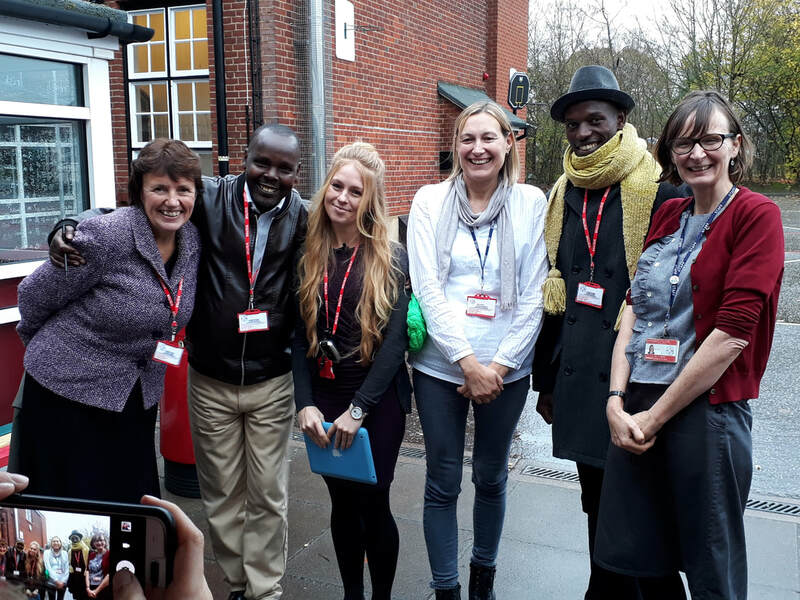 Louis, the Founder of the School, and Elie, our Headteacher were able to visit various types of schools for deaf children, deaf clubs, Churches, friends and supporters as well as a bit of sightseeing. It was an amazing experience and they have come back with lots of ideas! 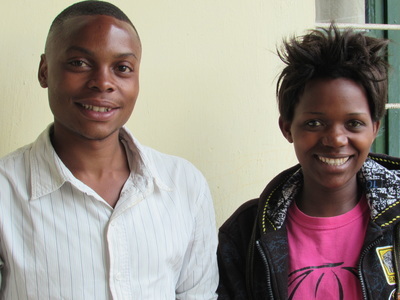 Louis and Elie were accompanied by Omar, a colleague from Umutara Deaf school in The Eastern Province of Rwanda, who is a good friend as well as a colleague. ​Here are Elie and Louis arriving at Heathrow airport in November. It was very cold! 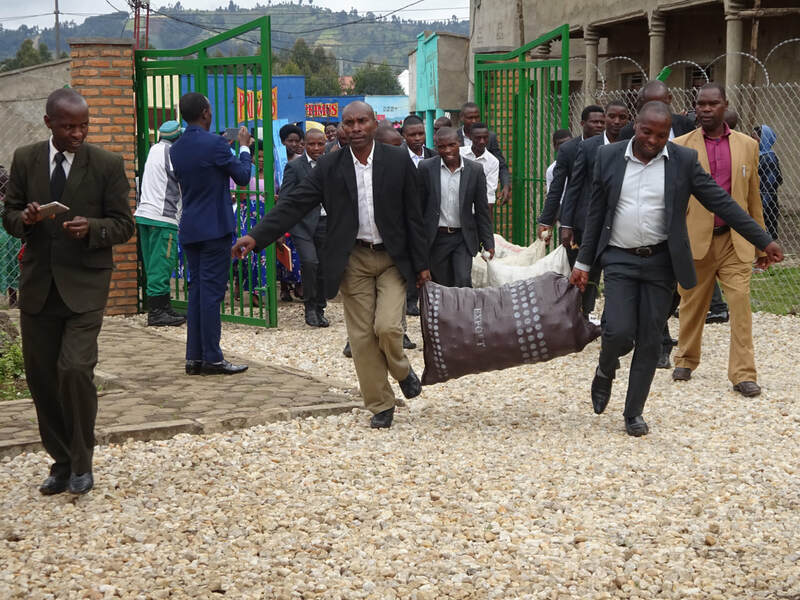 We have visitors in Rwanda too! Our visitor Milton with the children. Do you recognise him? A visit to Nyabihu has to end with a good Dance as well!! 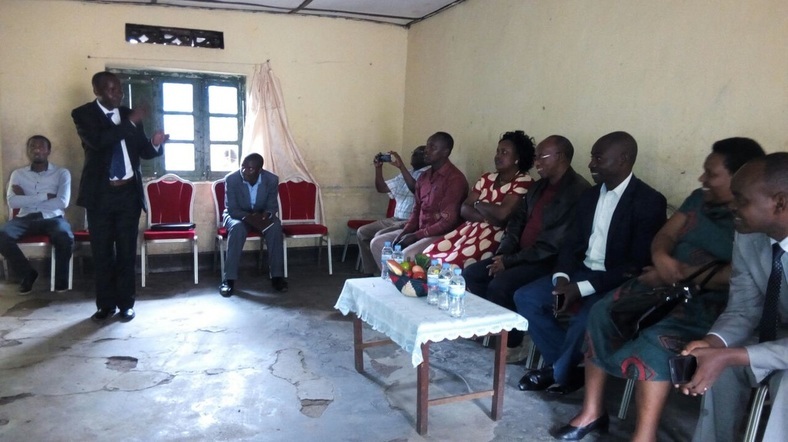 Here, Members of the National Parliament(Chamber of Deputies) Visited our center and our activities. 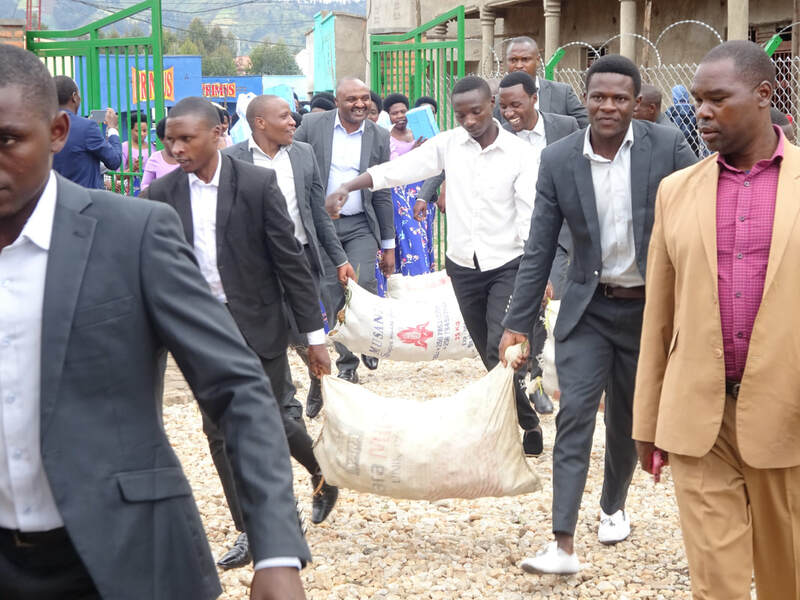 They are from the Community development commission and were accompanied by Nyabihu District leaders including the Mayor and the vice Mayor in charge of Economic affairs. We are very fortunate to be visited by such Important people from the National level as they also Promised to advocate more for our Center and the people with Disabilities in General. 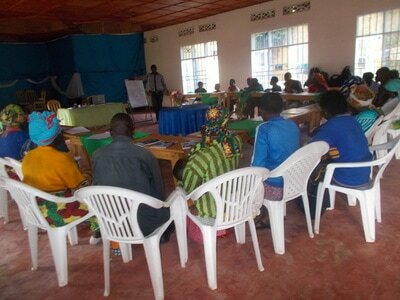 The District leaders also promised us a stronger and more fruitful Partnership. They visited our vocational class. This picture was taken in the old school. The room is small and dark. The new school rooms are much better! We thank all our visitors and invite everyone Interested to visit our work! The entire Africa celebrates the International Day of African Child on 16 June every year. This is done purposely to raise the awareness of the rights of African Children. It was to mark that occasion the National Deaf Sports Committee (NDSCO) organized volley ball and basketball tournaments which took place at AMAHORO National stadium of Rwanda ; as the way of celebrating this day in the year 2016. The triumphant Nyabihu Volleyball team with their coaches. NPC and NDSCO leaders were present and opened the tournament officially. In the Volley ball competition, there were three teams - Nyabihu Demonstration Centre for the Deaf (NDCD), CJSM Butare and VISION Deaf Nyarugenge. Among these three teams NDCD has won the trophy. In the basketball competition, there were also three teams - HVP-Gatagara/Nyanza, Institut Philippe Smaldone/Nyarugenge and Maison d’Accueil l’Esperance /Rulindo. In this competition, HVP-Gatagara/ Nyanza won the trophy. The officials presented the trophies to both teams. Sports plays a paramount role in many ways. It helps to build and maintain healthy bones, muscles, and joints; helps to control weight and reduce fat; and prevents or delays the development of high blood pressure. African children should be able to access Sports activities, just like children in other countries. And we also know that physical fitness is strongly linked to improved academic achievements. Thus, Physical activity, and sports positively affect aspects of personal development among young people, such as self-esteem, goal-setting, and leadership. Therefore, it should be a must that each and every African child be assisted by his/her parents teachers or guardians in his/her physical, social, cognitive and educational growth and improvement through physical activities and this should be an African routine. We WON!!! 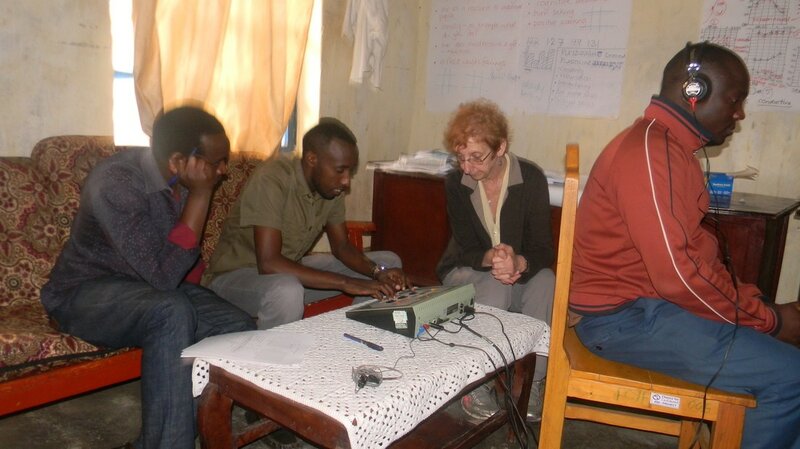 Using the computers that Isobel had sent to us from England over the last two years, Louis was able to enter the TIGO competition. It is an ICT competition to help disadvantaged people out of poverty by increasing their ICT skills. 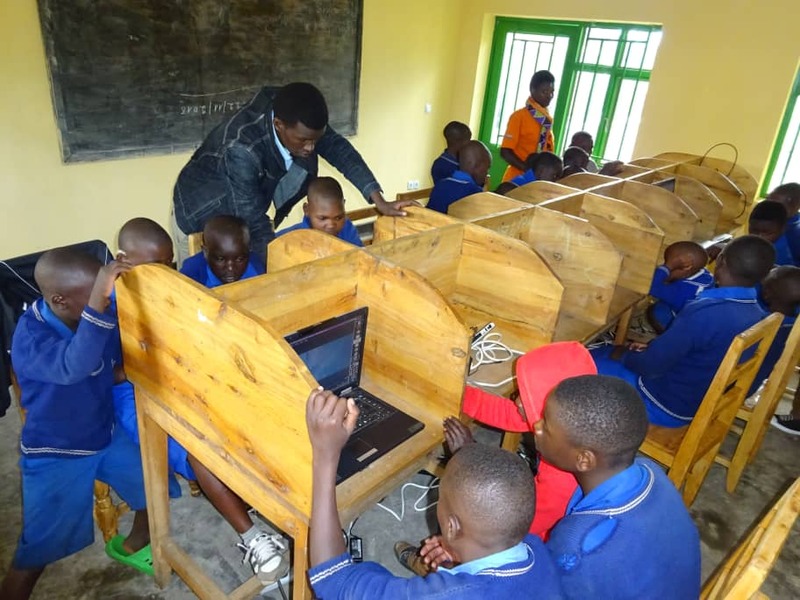 With the money, we have been able to buy new laptops, employ an ICT teacher and build computer stations. Because of the generosity of one local man, the land for the new centre is now twice as big as the original plot. Its needs to be too, as the school now has 130 children, not the 60 or 70 we had when the idea of a new build was first taken seriously. Here is Louis standing in the middle of the new enlarged piece of land. We now (2015) have about a third of the money needed to build the whole new Centre. It is very exciting, and we have an English architect who has drawn up the plans. We are in the process of selecting a local construction company - and soon we will actually see the spades at work on our plot! ​OUR DREAM IS NOW A REALITY! 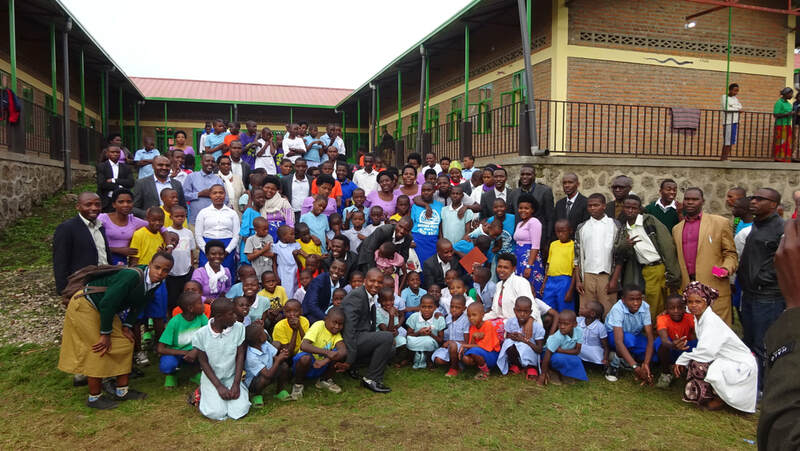 Here are the new children whom we have welcomed to out Centre this term with some of their teachers. They are wearing their smart new uniform, made at the Centre for them. Topping up our ordinary budget, for example: helping us with rent costs, food expenses, and teachers salaries. Funding 2 new teachers and a Head Teacher as well as giving a salary to the Director of the centre And guess this one!!! 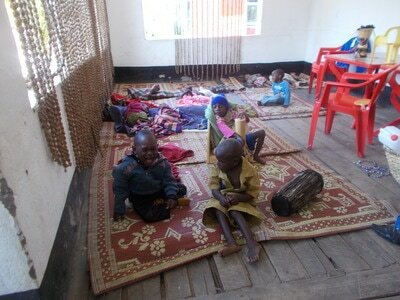 They have enabled us to enrol 54 new children to our center. These children were identified by CfC in their project called Empowerment, Equity, and Education(EEE), which aims to identify children in specific rural areas of Rwanda who have significant hearing loss and are not in school. 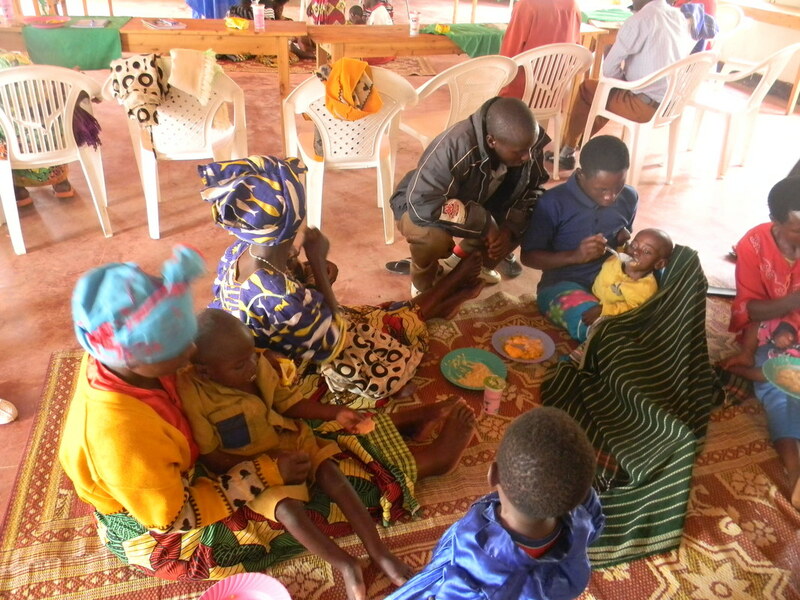 So as a partner organization, we will benefit from the EEE work by having these newly identified children. We were very excited to accept the responsibility to care for this large number of children, who without us would have no access to education or communication development. 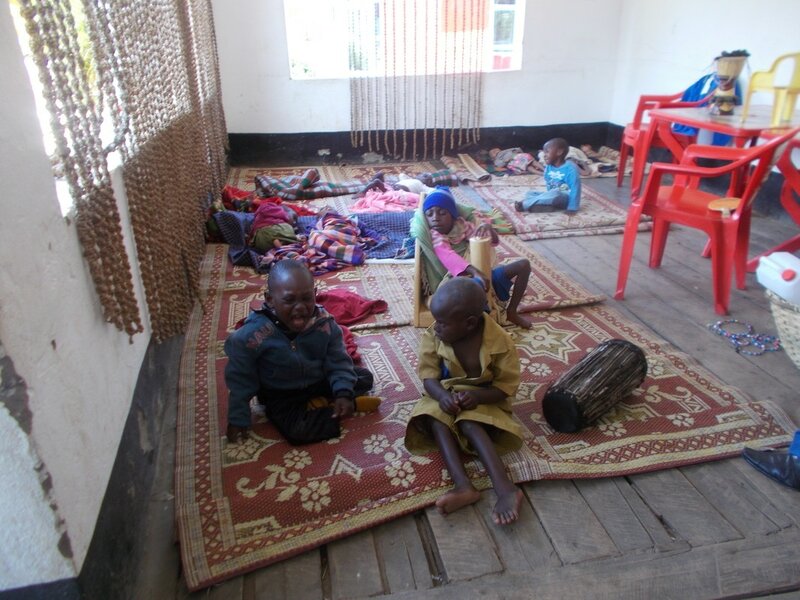 Our Centre has now grown in number to 130 children. We feel it is a great privilege to be asked to partner with CfC in Rwanda and our center is taking this opportunity to thank everyone who has worked for this to happen. We are determined that this partnership will be a huge success for both sides, and will make life changing differences to these children. 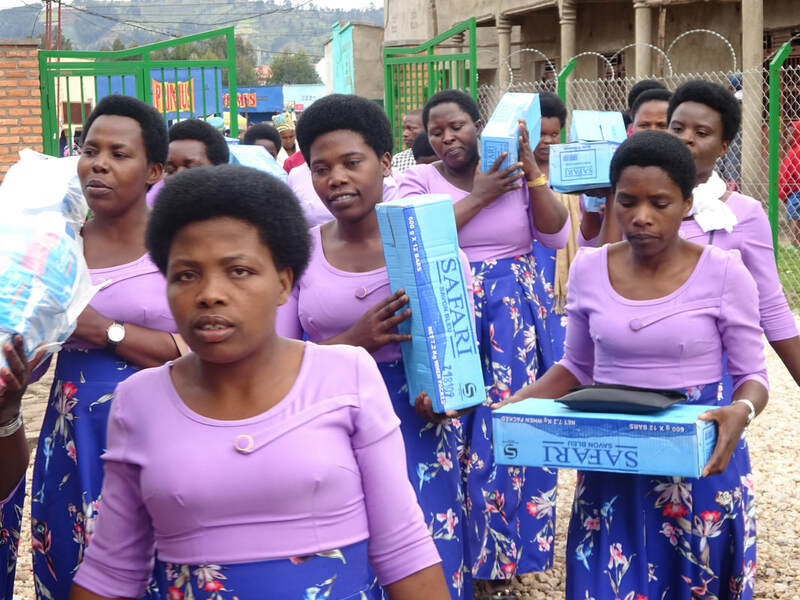 We continue to appreciate the funding which we have from an English Rotary Club and the Rotary Club of Kigali which will pays for two teachers. 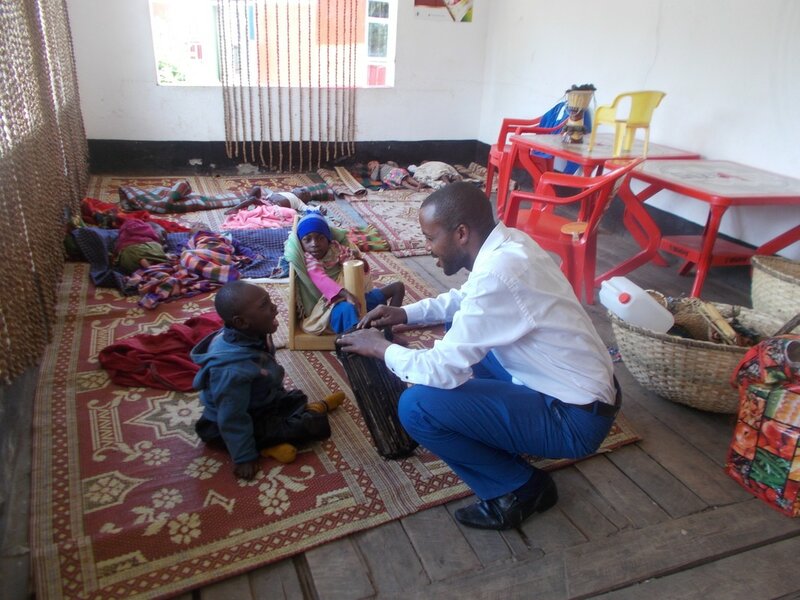 The qualified teachers that are employed are working well and have become experienced in teaching deaf children. 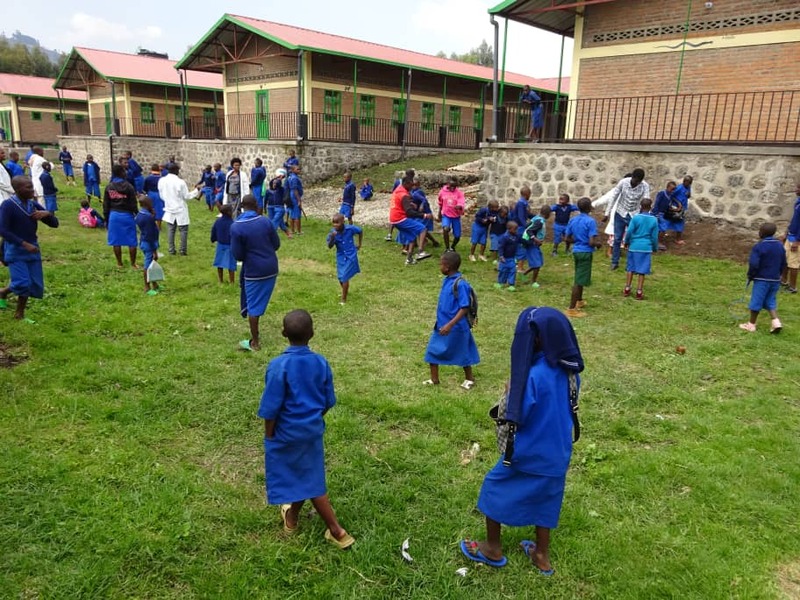 This means that our Centre can continue to develop and improve, both in the facilities we can offer these children and in improved quality of education. New children have already made friends. They are learning Sign language and can begin to communicate with each other, and know that there are lots of other children just like them. So our Center was Invited along with seven others, to take part in the games. We had 3 weeks to prepare for the competition. Germaine and Dorcus in their new Kits. They say, ‘Thank you’.